Central streets and avenues of Thessaloniki are about to be decorated with stars painted white, red and blue to honor the United States of America. 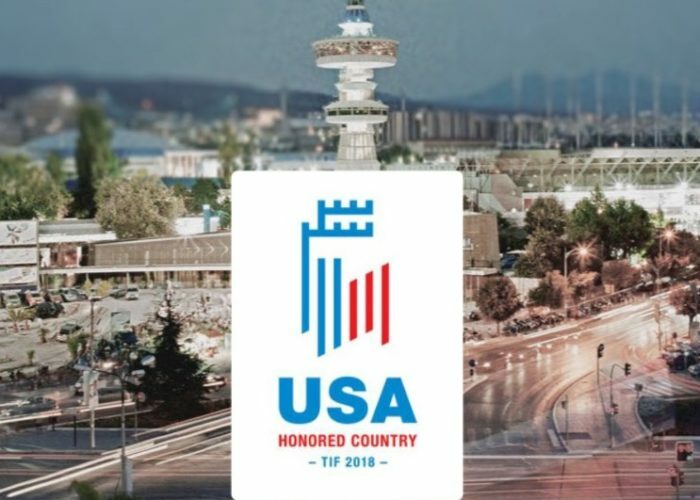 The USA is the honored country of the 83rd International Fair Trade of Thessaloniki that will be held this September, from the 8th until the 16th next month. In a letter of the Management of D.E.TH. – HELEXPO to the Municipality of Thessaloniki has mentioned that the event’s objective is the amelioration of knowledge regarding issues concerning the USA and its history and culture by the locals and tourists of the city. These decorative interventions will take place around the area of the Fair Trade and on Tsimiski street, one of the main avenues of the city. A similar move happened last year when the honored country was China and in 2016, when the country that was honored was Russia.